Isn't it a relief when you finally sort through that over-stuffed wardrobe or tackle the paper work you've been meaning to deal with for ages? Most of us live with too many possessions and if you're running out of places to put anything then its time to declutter. If you're selling you can bet that buyers are looking for extra space and it's essential that your property appears as spacious and uncluttered as possible. 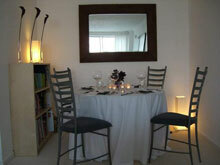 At Poised to Move we work alongside you to assess and edit your possessions. The advantage of involving a third party like us is that we're emotionally detached from your belongings and can evaluate the best action to take, whether it's donating items to charity, putting some things into storage or reusing them elsewhere in your home. 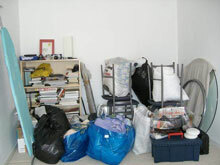 We charge by the hour for decluttering and will agree the estimated cost with you in advance. 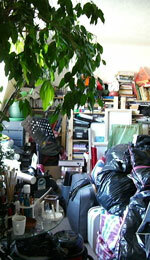 Click here for further information on our decluttering services and fees.